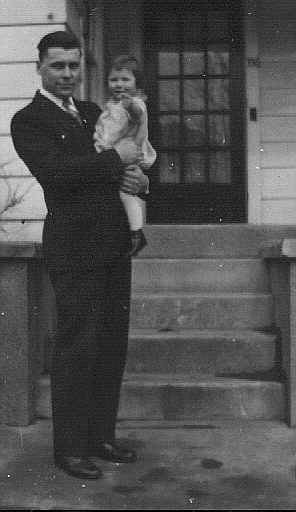 Comments: c1940 Man & Baby (Nee: ) | York PA | 1936-1945 | Comments: This is from my Grandmothers , Gladys V (Wasbers) Bubb Holler`s photo album. Do not know who this man and child are. My grandmother was born 1901 raised, married and lived in York, PA until 1981. She died in 1994.